on time, hard workers, very careful. saved my 'decorative' brick which was terribly installed by the original builder. i now have proper drainage too !! excellent. Thank you for your generous review Tim. It was a true pleasure dealing with you and your neighbor on this project. We were happy to help Wendy. 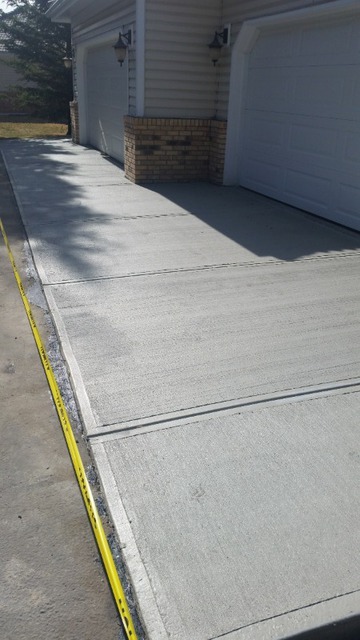 The original pre-steps were a deteriorated hazard and the driveway was crumbling. 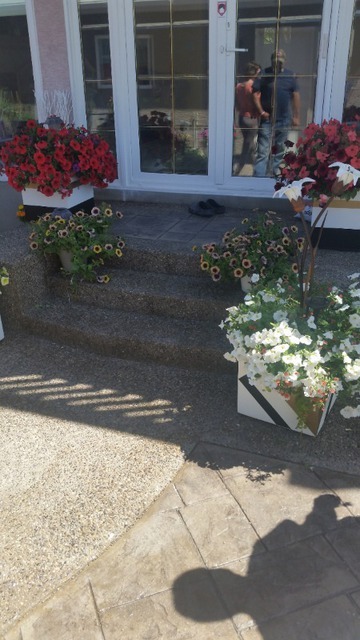 We made some suggestions to align all of the elevations and also create a safer front entrance. 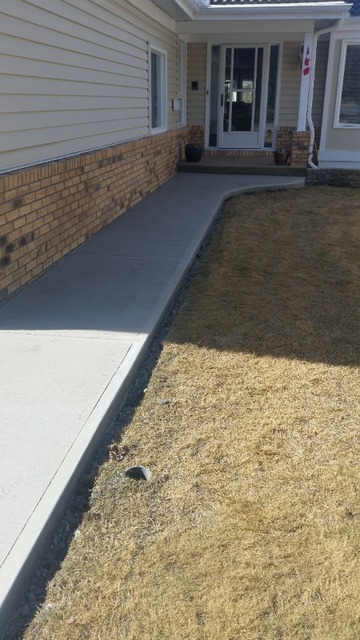 Received an estimate from Ray on Monday and the job was completed on Friday. Sam and his crew were great. Their skill is obvious, but add in polite and respectful too. Sometimes it's the little unexpected things that make the difference.... 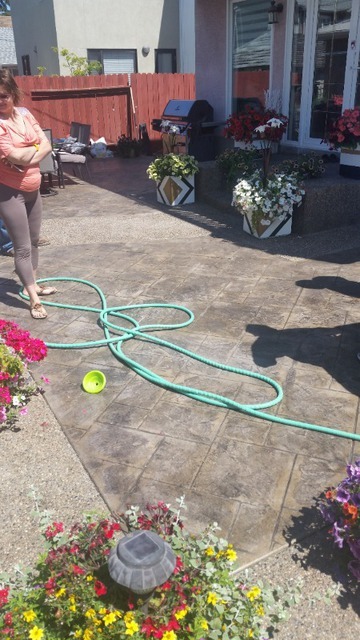 Replacing the soil around the patio as part of their cleanup was an example of that for me. 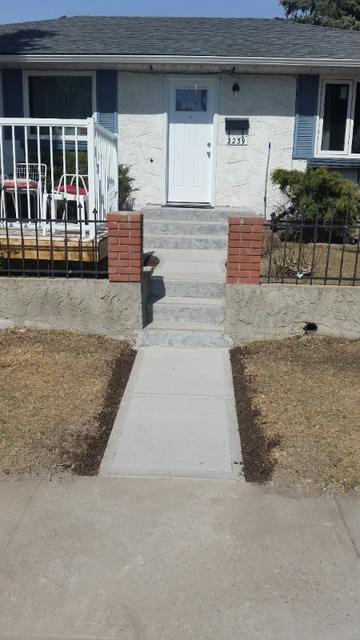 The best part was they completed the job ahead of schedule and were under budget, thanks to a recommendation by Sam. I highly recommend the team from Johnny's. Thank you Barry. It was a pleasure working with you. What a fiasco! The entire job was slipshod and disastrous. We dealt with the owner. The guy gave off airs of being qualified - claiming to have years of experience, the job proved he clearly wasn't. 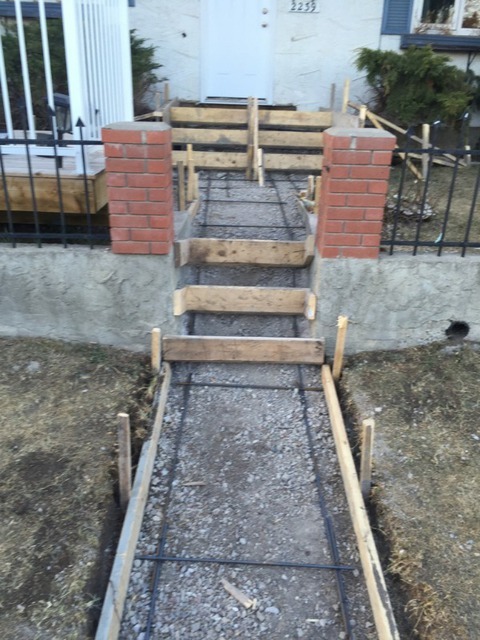 On top of that cutting obvious corners, not doing the details and reinforcement he assured us he would do. Very disappointed with the guy and his promises, such a frustrating experience. This reviewer has chosen to remain anonymous, and we have done our best to try and guess which customer this may have been based on the date of submission but are unable identify the work and are concerned that this review may be for the wrong company or simply a malicious competitor attempting to slander. We would like to verify these concerns and encourage the author to contact us directly so that we can identify the address of the work and take steps to correct any issues that have created an unsatisfactory result. Please call. 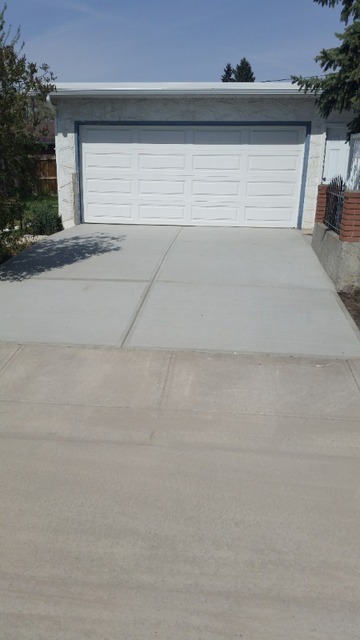 We used Johnny's Concrete to pour an exposed aggregate sidewalk and patio at our new home. We checked the reviews out and they were OK but some of the reviews talked about customers not getting what they asked for because Ramo the estimator who you tell what you want doesn't communicate properly with the field workers doing the job and for that reason we specifically requested to meet with the guys that would actually be doing the work but Ramo told us that all the instructions would be relayed and not to worry. 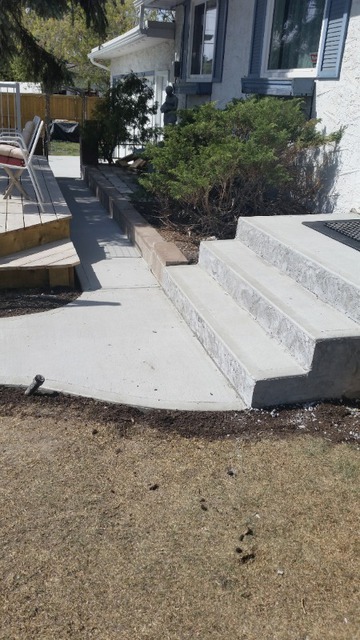 We had told them that we need this sidewalk to be stepped down and flush with our finished grade dirt because our yard was already a very steep grade and we didn't what it to be any steeper, we were told no problem. When it came time to do the job I was unfortunately away on business and I asked that they only do the forms so I could check it all out before they pour the concrete, but again they talked me into letting them go ahead and finish up because they have done hundreds of these and they are experts and they guarantee I will be happy with the work. Well, when I got home my yard was a disaster the crews had boards all over my yard with nails sticking out and garbage like empty yogurt containers, chicken bones, coffee cups and water bottles from they're lunches and even worse they had built my entire sidewalk and patio up out of the ground instead of digging into the ground like I wanted. I called Ramo and his reply to the mess was "ya, it's a construction site what do you expect" and told me to call the site supervisor Sam who is the owner of the company about why they had not done what I had asked. So I call the Sam and big surprise he told me that he was not told about the step down and even if he was he would not have done it that way anyway because it just wouldn't be professional in his opinion. 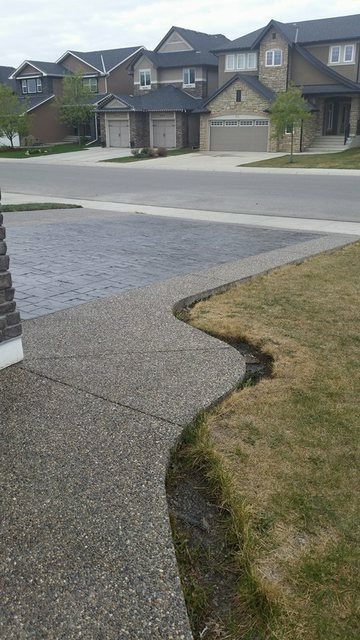 So much for the guarantee I would be happy and since I'm the one that paid over nine thousand dollars for my sidewalk and patio shouldn't I decide what I'm getting? 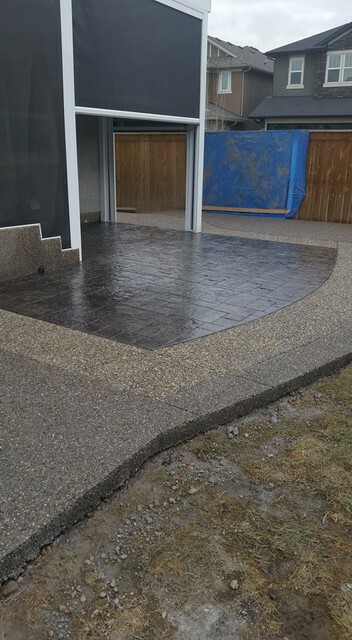 In the end I was given five hundred dollars off and left with a really crappy job, the finishing is also not to good as the sealer has dried uneven and left distinct lines in the patio. 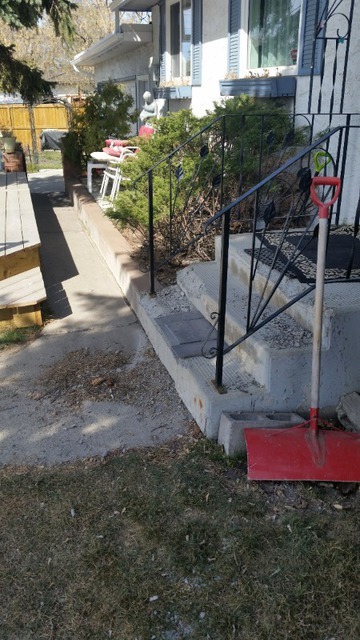 Read the reviews and listen to the criticisms as they are spot on and be very careful if dealing with Johnny's Concrete as they are not very professional and will do what ever they want. Unfortunately we only recently began monitoring our online reviews. We discovered 4 improvement opportunities in the last 6 years that were posted. This does not accurately represent the hundreds of happy clients we have successfully serviced in that time. Until now we have not solicited postings or comments from our many satisfied and happy customers, but that is going to change. 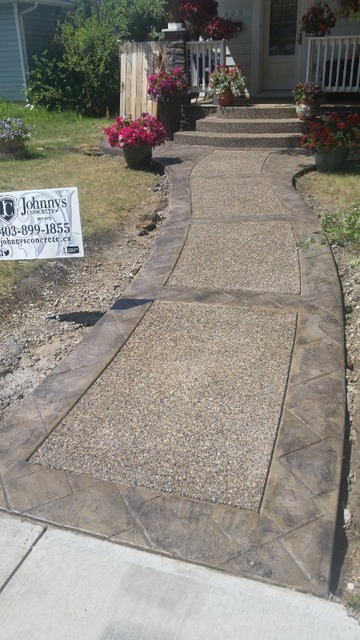 From this point Johnny's Concrete will be committed to documenting all of our online feedback and will publicly reply to all matters brought to this forum to give consumers a properly balanced picture of our commitment to quality service and workmanship. The quality of the work was fine. The salesman wrote little documentation and did not properly convey the work to team. He didn't give them the specs and they nearly screwed up the job. We noticed that they were doing it wrong and had to stop them. They also didn't clean up at the end and left concrete all over the place. They also just showed up didn't tell us when they were coming. I asked for a circle and got a warped lily pad. They wouldn't redo it unless I paid an additional $4000. Make sure you watch them before they pour the concrete. 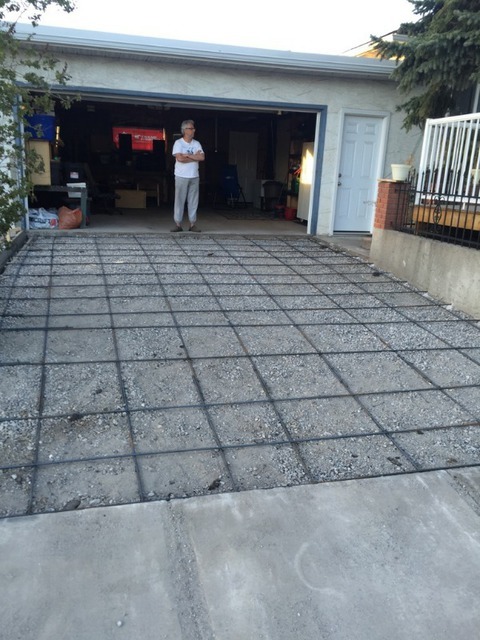 Family owned and operated since 1975, the Johnny’s Concrete tradition in Calgary spans generations. We are proud to continue putting our substantial experience to work for you. 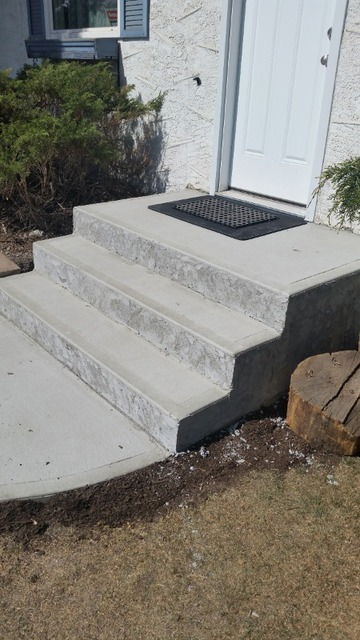 With decades of successful projects in the Calgary and surrounding area Johnny’s Concrete is proud to be the first name in concrete for all of your functional or decorative needs. Every job is custom designed to your requirements and budget. 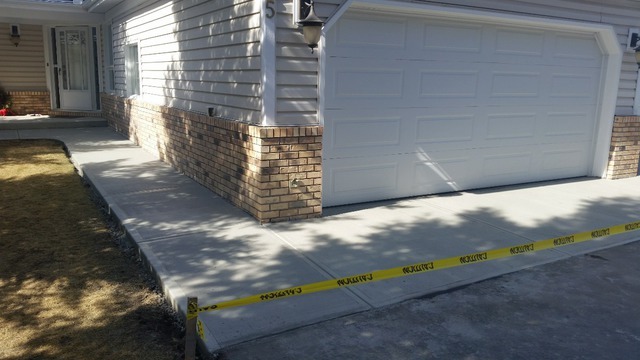 We offer normal utility paving of sidewalks, driveways, and garage floors, or consider enhancing the beauty and value of your home or business with a modern aggregate finish, a colored pattern, or one of our eye-catching stamp designs. Our reputation for quality and professionalism is backed by our long-time accreditation with the Better Business Bureau of Southern Alberta, and by our own lifelong warranty. 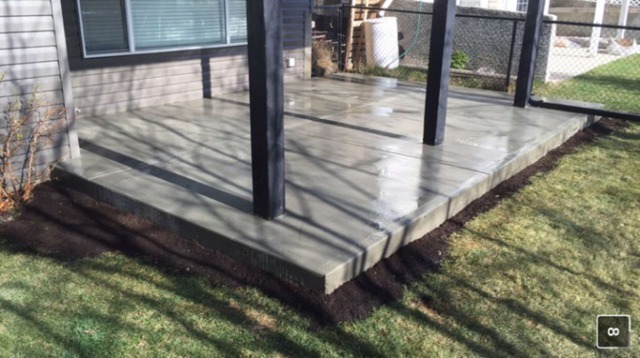 Johnny’s Concrete stands by any defects of quality or workmanship on all work we do, and in most cases WE DO NOT REQUEST DEPOSIT OR INCREMENTAL PAYMENT TERMS. We usually don't ask for a penny until our work is complete and you are satisfied.